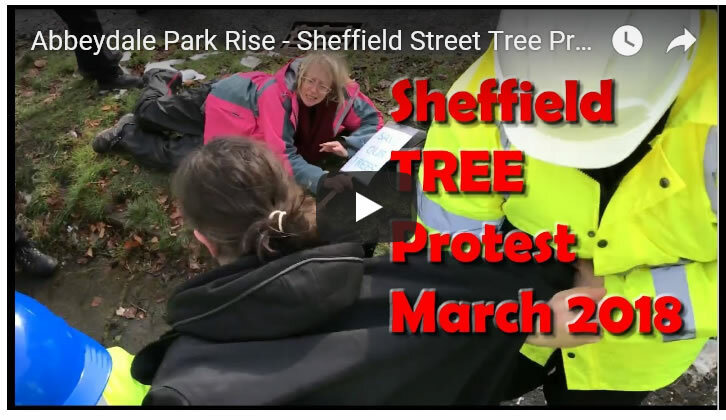 Four Sheffield citizens were in High Court this week for potential committal to prison as the Labour controlled council took the four to court for the parts they played in Sheffield's anti street trees felling protests that have seen more than 20 arrests this year alone which culminated in an halt to tree fellings announced late March in the run up to the May 3rd local elections that continues. 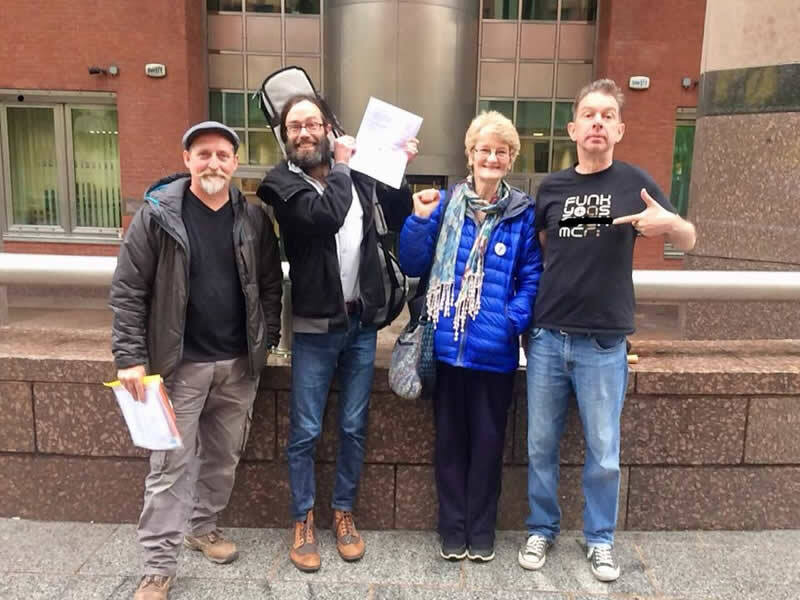 At the conclusion of the trial Justice Males verdict was that the case had been proven against three of the campaigners - Simon Crump, Fran Grace and Benoit Compin that they breached the injunction banning direct action against tree fellings, whilst reserving judgement on the fourth person, Paul Brooke. Mr Justice Males handed down 2 month prison sentences suspended for 12 months to Simon Crump and Benoit Compin with no further action against Fran Grace for her limited involvement. Whilst reserving judgement against Paul Brooke, following which the award for Labour controlled Sheffield City Councils legal costs will be known, which given past actions that resulted in legal costs of £16k per individual then costs are likely to exceed £50,000. Meanwhile the STAG Facebook group has already started mobilising to raise funds to cover the Labour controlled council's legal fee's award. Here are videos of the events that triggered this weeks high court case against the four defendants. 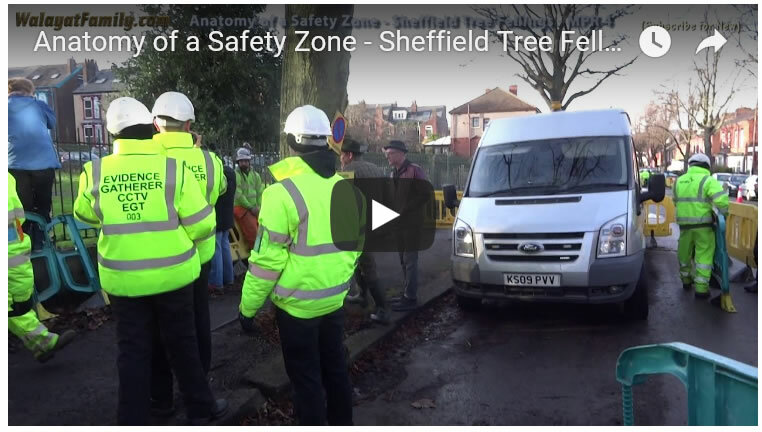 The first video shows Fran Grace and Simon Crump on Meersbrook Park Road as a 'safety zone' is constructed around them followed by Evidence Gatherers videoing the defendants. 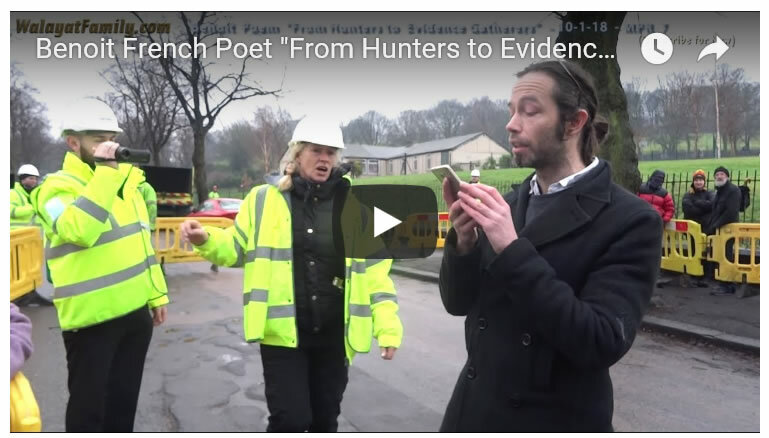 The second video features Benoit Compin reciting poetry at a felling site 'safety zone' also on Meersbrook Park Road with the evidence gatherer filming. 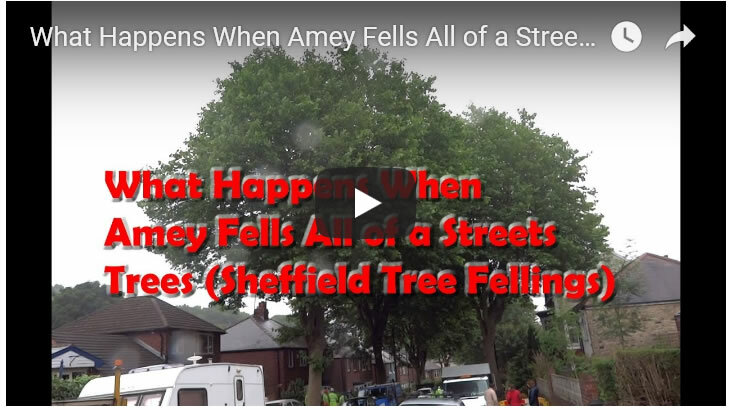 The following video illustrates exactly what it means when the Council's contractor Amey comes to a street and fells ALL of its tree's, turning a formerly majestic tree lined desirable suburban street into just another run down likely to vote Labour council estate. 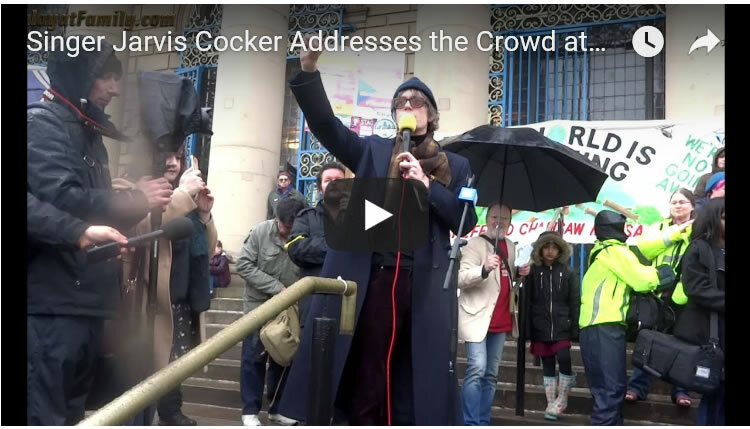 The protest movement against the Labour council's tree felling programme has grown to well in excess of 10,000 people, many of whom attended a protest rally outside Sheffield City Hall on the 7th of April 2018 where Pulp front man Jarvis Cocker addressed a estimated crowd of 3000 at the "Get Off My Tree!" protest. 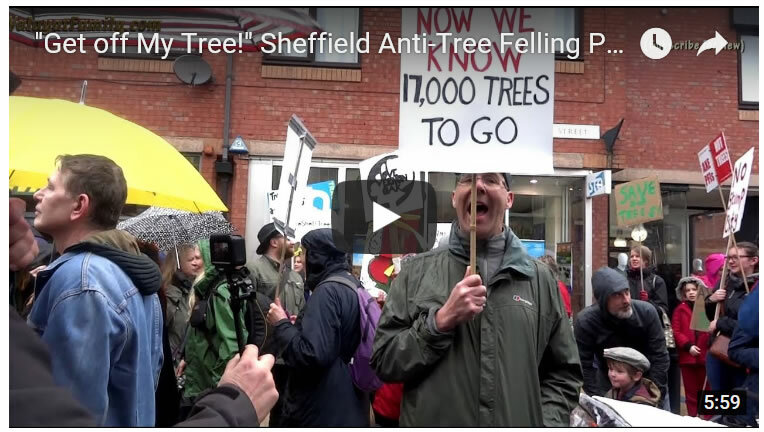 The bottom line is this weeks high court drama is just the latest event in a series spanning several years that is making a laughing stock of formerly Europe's greenest city as the Labour Council deems it fit and proper to work towards a target for felling HALF of Sheffield's street trees, this at a time when the planet faces climate change catastrophe! And so as history repeatedly shows that those in power for too long tend to lose touch with reality and adopt insane policies and measures such as the target to fell half of Sheffield's street trees coupled with the deployment of much needed police elsewhere in huge numbers under "Operation Testate" in support of a private hiviz militia all to fell street trees! 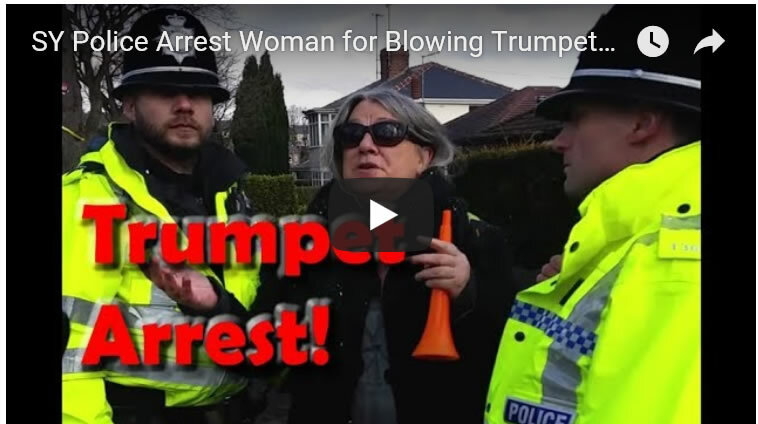 Where Sheffield stands today truly is INSANE, where a peaceful protestor can be arrested just for blowing a toy trumpet! Charges against whom remains pending.